Japan's housing market remains upbeat, despite slow economic growth. House prices continue to rise strongly, especially in Tokyo and Osaka metropolitan areas. This is mainly due to falling residential construction activity, amidst largely stable property demand. Existing condominium units' average prices rose by 4.6% to JPY516,000 (US$4,881) per sq. m. in January 2018 from a year earlier, according to the Land Institute of Japan (LIJ). New condominium units' average prices dropped 19.4% y-o-y to JPY787,000 (US$7,445) per square metre (sq. m.) in January 2018. Existing average detached house prices increased 4.6% to JPY35,410,000 (US$334,979) over the same period. Existing condominium units' average prices increased 6.1% y-o-y to JPY315,000 (US$2,980) per sq. m. in January 2018. New condominium units' prices soared by 12.6% to JPY680,000 (US$6,433) per sq. m. over the same period. 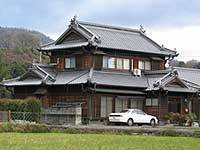 Existing detached house prices were up by 3% to JPY21,120,000 (US$199,795) over the same period. Japan's overall residential property price index rose by about 1.2% (0.7% inflation-adjusted) in November 2017 from the same period the prior year, according to the Ministry of Land, Infrastructure, Transport and Tourism (MLIT). Nationwide, condominium prices were up by 3.5%, residential land prices rose by 2.1%, while detached house prices fell by slightly 1.2% and over the same period. Demand is more or less steady. In Tokyo, existing condominium sales rose slightly by 0.5% during 2017 while sales of existing detached houses fell by 1.4% over the same period. In Osaka, sales of existing condos and existing detached houses increased by 0.6% and 0.8%, respectively. Authorized housing starts fell slightly by 0.3% to 964,641 units in 2017 from a last year, in contrast with annual rises of 6.4% in 2016 and 1.9% in 2015, according to the MLIT. Then in January 2018, housing starts fell sharply by 13.2% from the same period last year. Abenomics - great for property owners! While the impact of "Abenomics" - i.e., the reflationary policies of Prime Minister Shinzo Abe, who came to power in December 2012 - on the wider economy is debatable, the policy has undoubtedly helped prop up Japan's property market and boosted residential construction. Abenomics stimulates the economy by increasing public infrastructure spending, devaluing the yen and aggressive quantitative easing by the Bank of Japan (BOJ). Since the introduction of Abenomics, real estate prices have accelerated strongly. Transactions started to pick up in 2012 and rose rapidly in 2013, as monetary policy kicked in. Construction activity expected to rise this year, with about 38,000 new condo units for sale in the greater Tokyo area, a year-on-year increase of 4.4%.). Tokyo's successful bid to host the 2020 Summer Olympics should boost property demand and construction over the next 7 years. Residential property prices are expected to remain strong in the central Tokyo wards, while sales prices in the suburbs are projected to approach their peaks in 2018, due to the continued rise in demand, especially for properties near major hub stations, according to the REEI. From a US$-based investor's perspective, the Japanese residential market's gains was bolstered by the 14.6% appreciation of the Japanese Yen from ¥123.725 = US$1 in June 2015, to ¥107.98 = US$1 in February 2018. However, this was not enough to offset the 37% drop in the value of yen against the dollar from 2012 to 2015. The world's third largest economy posted its eighth straight quarter of expansion in Q4 2017, with an annualized growth rate of 0.5% - the longest upward trend in 28 years. The economy is expected to grow by 1.7% in fiscal year 2017 (which ends in March), an improvement from y-o-y growth rates of 1% in 2016, 1.2% in 2015, and 0.3% in 2014. In Tokyo's central districts gross rental yields - the return earned on the purchase price of a rental property, before taxation, vacancy costs, and other costs - range from 3.4% to 5.4%. They’re a little higher on smaller apartments. Not great, though not untypical for a city like Tokyo. Yields on the very smallest apartments are 5.4%, a reasonable yield. But then smaller apartments tend to need more maintenance, so a higher yield is justified. Prices per square metre range from around $8,700 to $13,800, not really so expensive when compared to other global cities. In Yen terms residential prices continue to strengthen. That’s likely to continue so long as Abenomics is in place. More money in the system means lower interest rates means increasing asset prices, especially prices of assets that produce nice incomes, like Tokyo property. This is going to be interesting. If Abenomics really leads to a revival of the Japanese economy, rising incomes will continue to support rising rents. However as time goes on, the success of Abenomics seems more and more in doubt. Round trip transaction costs are moderate in Japan. See our Property transaction costs analysis for Japan and Property transaction costs in Japan, compared to the rest of Asia. Rental Income: Rental income of nonresident individuals is subject to 10% tax. However, effective rental income tax is low, ranging from 3.4% to 5.9%. Nonresident taxpayers are taxed on their net income; depreciation and income-generating expenses such as maintenance and repairs are deductible from the gross rent. Capital Gains: Net gains realized from selling short-term real properties, i.e. property held for less than 5 years, are taxed at 30%. Net gains on property held beyond five years are taxed at 15%. Inheritance: Inheritance is based on residency status but foreign individuals inheriting property located in Japan are still subject to inheritance tax, which is levied at progressive rates. Residents: A permanent resident taxed on his worldwide income at progressive rates, from 5% to 45%. The total roundtrip transaction cost is 13.16% to 13.45%, inclusive of the 3.15% agent's fee plus an additional payment of JPY63,000 (US$578). Tenancy laws passed in 2000 shifted the balance of power from tenants to landlords, making Japan strongly pro-landlord. Rents: Rents are freely negotiable. Aside from two to three month’s security deposit, landlords receive key money worth one to two month’s rent. Tenant Eviction: Automatic renewals of leases were abolished in 2000, making eviction easier. If the tenant prematurely ends the contract the landlord can charge one month’s rent. The world's third largest economy posted its eight straight quarter of expansion in Q4 2017, with an annualized growth rate of 0.5% - the longest upward trend in 28 years. The economy is expected to grow by 1.7% for fiscal year 2017 (which ends in March), up from y-o-y growth rates of 1% in 2016, 1.2% in 2015, and 0.3% in 2014. Despite this improvement, Japan has never fully recovered from the great bubble of the late 1980s. After the ‘lost decade’ after the 1990’s, from 2000 to 2007 the Japanese economy grew by an average of 1.5% annually. However due to the global financial meltdown, the economy contracted by 1.1% in 2008 and by another 5.5% in 2009. The economy bounced back in 2010 with 4.2% growth. Then in 2011 GDP shrank by 0.11% due to the Great Tohoku Earthquake (magnitude 9.0), and China’s economic slowdown. Anti-Japanese feeling sparked by the Diaoyu/Senkaku Islands dispute didn’t help. Japan’s economy grew by a modest 1.5% in 2012, and performance since then has been poor. The BOJ introduced negative interest rates at the start of 2016 and adopted an even more accommodative monetary policy in September 2016 under the name “Quantitative and Qualitative Monetary Easing with Yield Curve Control.” This means that the central bank controls short-term and long-term interest rates through market operations and will expand the monetary base to reach the desired level of inflation. In terms of fiscal policy, PM Shinzo Abe encouraged more public spending and postponed a rise in the consumption tax rate (from 8% to 10%) for the second time in two years to October 2019. In the past 20 months, the yen gained about 14.6% against the dollar, from ¥123.725 = US$1 in June 2015, to ¥107.98 = US$1 in February 2018, and has moved up strongly against all major currencies since the Brexit vote. A strong yen is bad news for the economy and many Japanese companies as it makes Japanese products more expensive internationally and makes it much harder for the government to tackle deflation due to cheaper imports. The Japanese yen had previously moved significantly in the desired direction since 2012, depreciating by about almost 37% from US$1 = ¥78 in 2012 to US$ = ¥123 in 2015 - so this reversal is a disappointment. Yet despite the currency’s appreciation exports grew by 12.2% to JPY6.09 trillion (US$57.19 billion) in January 2018 from a year earlier, according to the Finance Ministry, thanks to strong demand for hybrid cars and semiconductor production machinery from China. Exports to China, Japan’s largest trading partner, surged 30.8% y-o-y in January 2018. Shipments to the U.S. increased 1.2% while those to the EU rose by 20.3%. The primary reason for the currency’s rise is that Japan’s trade balance improved sharply last year. In 2017, Japan posted a trade surplus of JPY2.99 trillion (US$28.08 billion), its second year of trade surplus since the 2011 Fukushima nuclear disaster, which sent energy import bills soaring. Abenomics was intended to stimulate the economy, partly by generating inflation. However, inflation remains far below target. Japan’s core inflation, excluding volatile food prices, hit 1% in February 2018, up from 0.9% in the previous month and highest level in three and a half years. Yet it was still far below the BOJ’s official target of 2%. Moreover, a strengthening yen and the threat of a global trade war continue to pose risks of price gains stalling. Abe was re-elected unopposed as head of the ruling Liberal Democratic Party (LDP) in September 20, 2015. His new term will run until September 30, 2018. In September 2017, the government unveiled a new JPY2 trillion (US$17.8 billion) stimulus package - the fourth in a row after a JPY28 trillion (US$262.6 billion) round in 2016, JPY10.3 trillion (US$96.6 billion) in 2013 and a JPY3.5 trillion (US$32.8 billion) package in 2014. However, in the first two months of 2018, the BOJ has reversed gear several times - reducing its bond purchases in early January, only to offer “unlimited” bond buying by end of the month, in an effort to curb rising yields and weaken the yen. However, by end of February, the central bank trimmed back again its buying of super-long government bonds. The government vowed that it would abandon its massive stimulus only after inflation reaches 2%. “The BOJ’s board members expect that prices will reach 2 percent around fiscal 2019. If this happens, there’s no doubt that we will consider and debate an exit,” said BOJ Governor Haruhiko Kuroda. Japan has the world’s biggest debt burden. In 2017, the country’s gross debt amounted to JPY1,307.6 trillion (US$12.27 trillion), equivalent to about 240.3% of GDP, according to the IMF. Opinions differ about how much of a problem this is.